Are you considering Invisalign near St. Louis? Invisalign is increasingly popular in family dentistry , as more and more patients of all ages visit Dr. Spalitto to straighten their teeth with clear braces. Everyone knows that straight teeth can dramatically improve your cosmetic appearance, and visiting a dentist for braces can make you look and feel younger. However, correcting misaligned, gapped, or overlapping teeth with Invisalign can also improve your oral and overall health. Continue reading to find out how straight teeth lower your risk for cavities, gingivitis, and disease. Your dentist may recommend straightening your teeth with a retainer, braces, or Invisalign so you can protect yourself against tooth decay. Invisalign is especially recommended in family dentistry because they do not involve wire brackets. With traditional braces, your oral hygiene routine can be complicated by trying to remove sticky foods and floss between wires. With Invisalign, you can simply remove your aligners and continue brushing and flossing your teeth the way you normally do. When the teeth are properly aligned, the gums fit more securely around the teeth. If your teeth are too crowded or too widely spread, your gums can become red and inflamed. Unfortunately, these are also symptoms of gum disease. If gum disease is allowed to progress, it can lead to the next stage known as periodontitis, which is an even more serious concern. If severe periodontitis develops, the disease can potentially impact other aspects of your overall health. Fortunately, straightening your teeth moves them into the proper position and helps you ward off gum disease. While you may not initially think of your self-confidence as being related to your overall health, people with high self-esteem are both happier and healthier. Confident people are more inclined to leave the home to socialize, and close relationships with friends and family are associated with better mental health. Additionally, confident men and women are better positioned to achieve success in their careers. 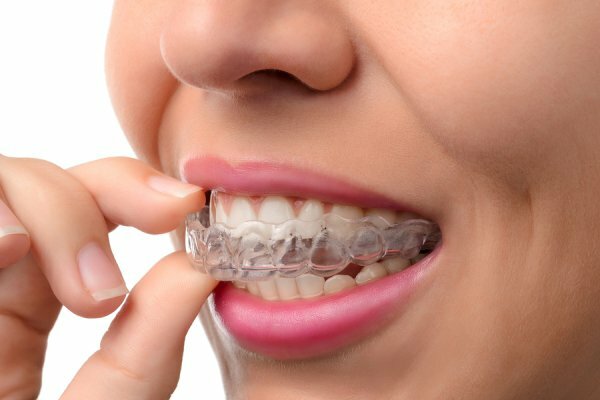 If you are interested in Invisalign, find out if clear braces are right for you by calling Dr. Spalitto at West County Dental. Speak to a dental team member directly by dialing (314) 821-2712.